Seven pit bulls were set upon by an aggressive cat on Monday night, leaving a dog and its owner requiring medical treatment. The cat sprang out of a yard in Saanich, British Columbia, Canada, said Kyla Grover, who was with the walking group called Pit Bulls of Victoria B.C. 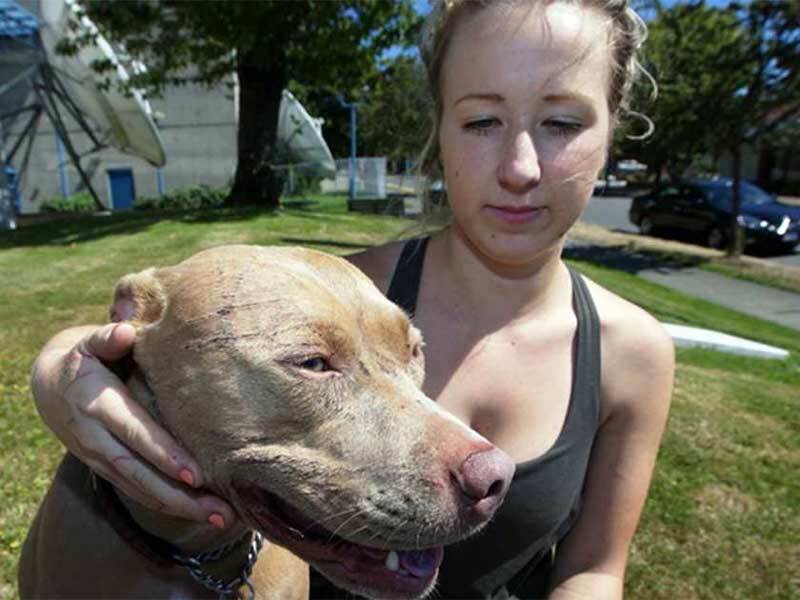 “The dogs were walking by, completely minding their own business,” she said. “The cat just goes at all of the dogs, not backing down.” The pit bulls and pit bull crosses were leashed and none of them fought back, Grover said. They just began barking after the attack began. Del Thompson said the sight of all the dogs would have been intimidating for his cat, Baby. “She’s a watchdog and doesn’t know it,” he said. “Cats and dogs don’t get along too well sometimes.” Grover said the dogs didn’t know how to react. My granddog Archer doesn't know he's a pit bull, and he loves everybody except cats. He's killed several of them.